Our arrangements are custom designed to be as unique and distinctive as you are! We’re a local Spring Green florist that is family-owned and operated. 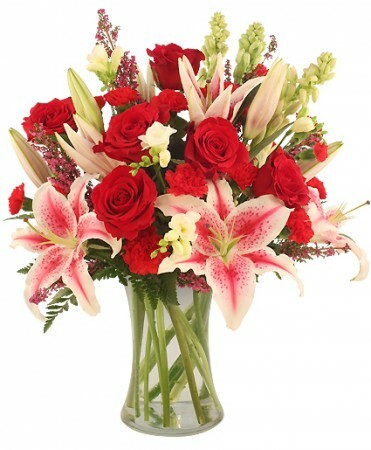 Our shop specializes in courteous and professional service, along with the highest quality flowers and unique gift items. Let our talented designers customize a floral arrangement that suits the occasion, as well as your budget and the particular style you're seeking. Our staff is ready to assist you with placing orders for local delivery or anywhere in the world. Not sure what to send? Let us offer some creative suggestions using this season’s freshest flowers. For your convenience, we accept all major credit cards and offer daily delivery service anywhere in the Spring Green area (including Plain, Lone Rock and Arena). We service all local schools, hospitals, nursing centers, funeral homes. We offer FREE DELIVERY TO LOCAL FUNERALS. Local delivery is $5.00. Rural delivery is charged based on distance. ~ Ask our staff about customizing a funeral floral arrangement for a departed loved one. You can depend on us to help you choose flowers that beautifully convey your expressions of sympathy and serve as a lovely tribute to the deceased... and there is NO CHARGE for delivery for local funerals! Give us a call, or stop in to have a private consultation. We service the local funeral home, Stafford Funeral Home, Spring Green. décor consultations for home, offices, churches, etc. fresh/silk or dried centerpieces for your home or office. corporate gift baskets for employees, customers, family, etc. Wedding Flowers ~ Whether formal or casual... a small gathering or the social event of the year... it's sure to be a "blooming" success with flowers from Prairie Flowers. If you want the BEST, give us a call. We offer a Free toss bouquet with $500 wedding flower purchase. We also have wedding and party prop rentals. Gift Ideas for All Occasions ~ Liven up any room or office with lush green and blooming plants or dish gardens. Choose from our selection of unique gift items, including gourmet & fruit baskets, all occasion gift baskets (spa, kitchen, baby, coffee, tea, etc. ), silk & dried floral arrangements, plush stuffed animals, scented candles, home décor, garden and more! Thank you for visiting our website... Convenient and secure 24-hr. online ordering is available for flowers delivered fresh from your local Spring Green, WI florist!